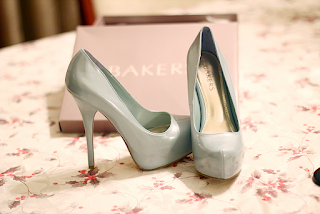 New mint colored heels from Bakers! They were originally 80$ but I got them for 35$! Soo cute. Practicing Tsubasa's makeup late at night. I need eyelid tape for this look though. Never dying my hair this orangey blonde color. It doesnt match my skin at all : ( I need the black wig and the lashes to come in now. : ) Can't wait to film this video.